The "Friend" is probably someone that handles either your 401k, commercial insurance, or you have met socially through kids t-ball games, neighborhood functions, etc. Handling health insurance is usually the second or third type of insurance that they provide and they usually are not current on health care reform laws, compliance, etc. You may see them once a year at renewal, but your company usually handles doing the "friend's" job because you don't want to make waves. The "One I've Had For 30 Years"
The "One I've Had For 30 Years" is typically a broker that you have had for so long and had no real reason to change. You typically have not felt a reason to look at other brokers because you feel they meet your needs adequately. 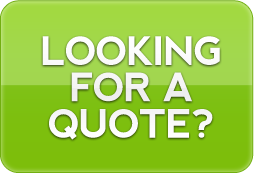 Most do not provide any services other than insurance quotes when you ask them for it. They don't assist with enrollments, compliance, benefit fliers and you do all of the work for them. These brokers are so stuck in the dark ages that it isn’t funny. They are still faxing and handwriting census data, etc. They do everything on paper and have to make a trip out to see you when their fax machine isn’t working. As far as providing additional services, they think that all they are there to do is give you a quote. Their inefficiency will cost your company money. We call these brokers the “Obamacare Ranter” because every time that you see them, all they do is go on and on about how bad Obama is, government control, blah blah blah. We don’t have our head in the sand, and the sky isn’t falling. While our opinions may or may not necessarily differ from them, we choose to focus on your company based on the current laws that are in place and provide solutions to protect your interests. We are one of the fastest growing brokerages in the Houston area and are currently reaching into other states. We attribute our explosive growth to providing creative solutions to the complex and ever changing needs of business owners and individuals. Our cutting edge technology and efficient processes have positioned us for continued success. We have a different message than other brokers and would like to share it with you. We will earn your business instead of taking it for granted. We believe that you will enjoy the best customer experience available in the insurance industry.